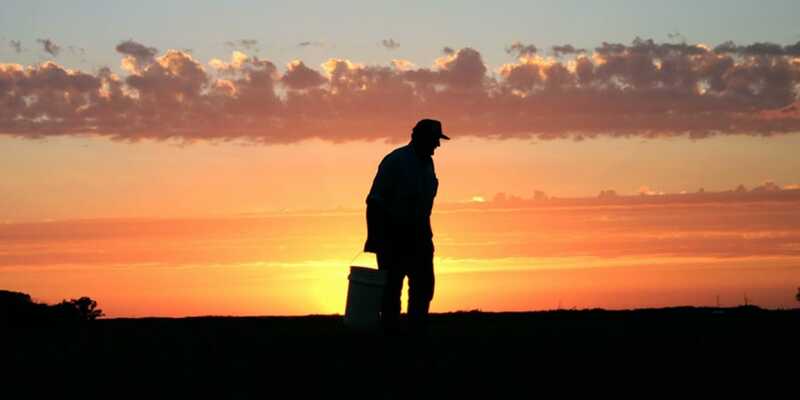 Weather, commodity markets, isolation, and changing dynamics in agriculture and farm-families contribute to chronic stress, affecting both physical and mental health. At the same time, nearly 97% of rural counties have a mental health professional shortage. UMASH hosted a working forum, Building Resilient Agricultural Communities, with the MN Dept of Agriculture to bring together diverse perspectives to explore issues, identify challenges, brainstorm innovative solutions, and stimulate partnerships. The forum brought together 69 attendees from multiple sectors. UMASH provided funding for partnership projects to follow up on ideas generated at the forum – 15 proposals were submitted; 3 partner projects were funded. 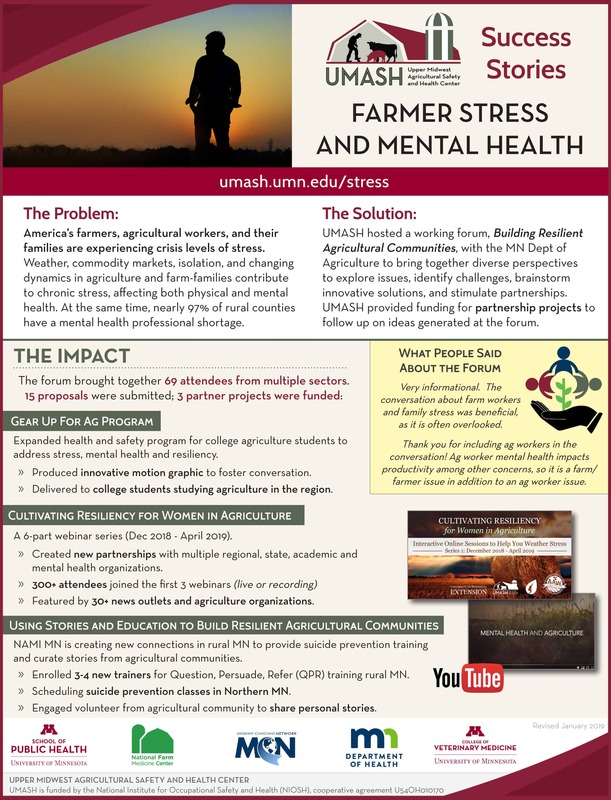 Expanded health and safety program for college agriculture students to address stress, mental health and resiliency. The project focuses on collecting early detection data from farmers, in particular female farmers, and a 6-part interactive webinar series. NAMI MN is creating new connections in rural MN to provide suicide prevention training and curate stories from agricultural communities.